"Colloidal Silver" has been used for over 115 years in countless applications, and encompasses a wide variety of silver products. Many products contain (claimed or unclaimed) salts, proteins, compounds or stabilizers - all of which affect silver's safety (elimination from the body) and efficacy. Bio-Active Silver Hydrosol represents the ultimate refinement of the colloidal silver category. It contains 98% positively charged silver in pharmaceutical-grade purified water. Nothing else. Our unique silver species, with a verified and unmatched particle size, remains in its most active state for use within the body. Why reach for just any colloidal silver product? 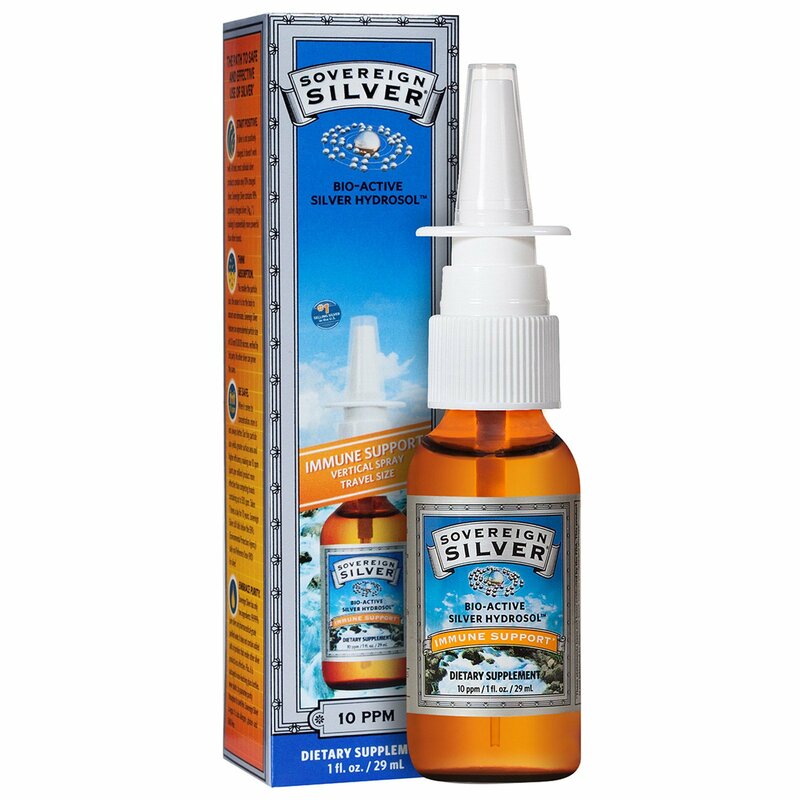 Bio-Active Silver Hydrosol offers the safest and most effective concentration. This is why Sovereign Silver is the #1 selling silver brand on the market. Start Positive. If silver is not positively charged, it doesn't work well. At best, most colloidal silver products contain only 10% charged silver. Sovereign Silver contains 98% positively charged silver [Ag¹], making it exponentially more powerful than other brands. Think Absorption. The smaller the particle size, the easier it is for the body to absorb and eliminate. Sovereign Silver features an-unprecedented particle size of 0.8 nm/0.0008 microns, verified by 3rd party. No other silver can prove the same. Embrace Purity. Sovereign Silver has only two ingredients: 99.999% pure silver and pharmaceutical-grade purified water. It does not contain added salts or protein that render other silver products less-effective. Plus, it is packaged in non-leaching glass bottles, never plastic, to guarantee purity throughout its shelf-life. Sovereign Silver is vegan. It is also allergen, gluten, and GMO-free. 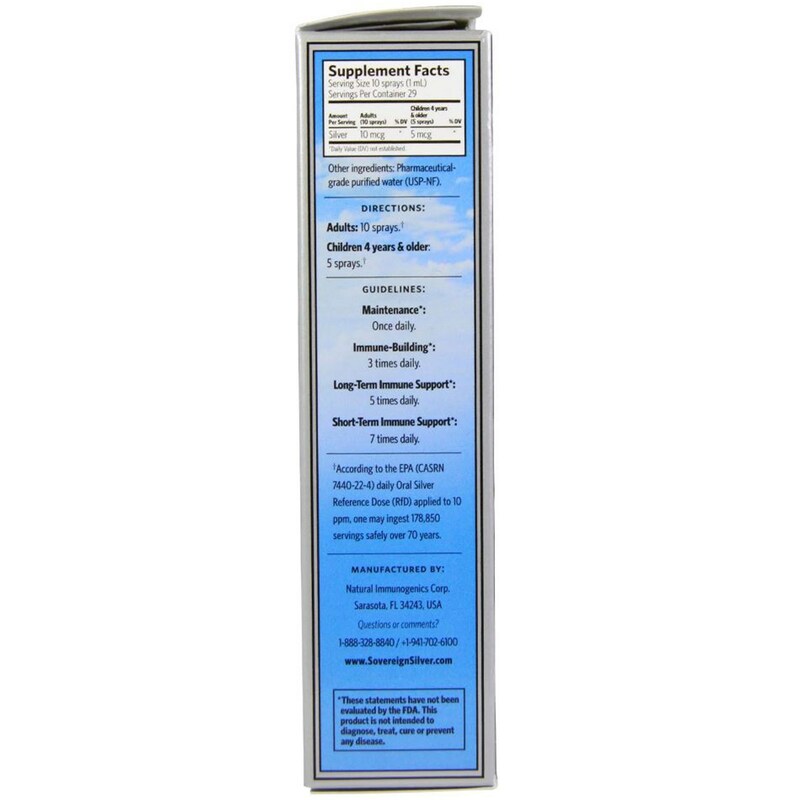 †According to the EPA (CASRN7440-22-4) daily Oral Silver Reference Dose (RfD) applied to 10 ppm, one may ingest 178.850 servings safely over 70 years.